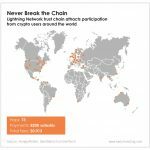 In 2018, Singapore surpassed the U.S. in ICO fundraising. And it’s more than earned its crypto-friendly reputation. 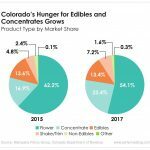 Colorado’s market share of edibles and concentrates is steadily growing. And it’s something investors should pay attention to. The bitcoin community is out to prove the Lightning Network’s strength. And it’s cultivating a sense of trust that’s integral to bitcoin’s ability to survive and thrive. For startups, employee happiness can have a big impact on the bottom line. 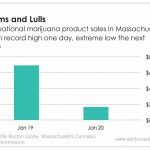 Last week, Massachusetts saw its recreational marijuana sales climb to a record high before dropping down to a major low as a major winter storm rolled through. 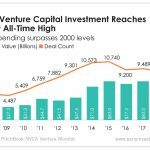 Venture capital spending just hit its highest level since the dot-com era, and it’s raising questions about the future of startup funding. 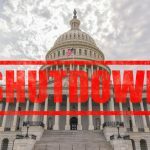 In this week’s News Fix, startup founders question the venture capital model, Rhode Island experiences FOMO and ethereum classic gets some relief after a 51% attack.